If you've ever thought about taking advantage of a feed-in tariff, a new deal from electricity provider Horizon Power could be well worth considering. Feed-in tariffs work by state governments paying you a premium for the renewable energy you produce, so if you have solar panels, it is worth taking advantage. These schemes, however, vary from state to state, so get yourself clued-up on the finer details before getting too excited! Horizon Power is breaking the mould when it comes to feed-in tariffs by offering a location-based scheme from July 1. It plans to change the price it offers for renewable energy production based on the cost of generation in specific towns, which should mean you are paid fairly for whatever you generate. More remote towns, for example, will be offered higher prices for their solar power, while those in built-up areas will receive less as the usual cost of providing energy is lower. Scott Davis, Horizon Power manager for sales, marketing and product development, said the public is keen to make the most of financial subsidies while reaping the environmental benefits of renewable energy. "Our new pricing method will continue to reward customers for the energy they are producing and is more closely aligned to what it would have cost us to produce or purchase and in many towns, customers will receive double the buyback rate they get today," he commented. Not-for-profit research and education organisation Beyond Zero Emissions recently suggested that state governments are ripping off consumers by failing to recognise the value of rooftop solar panels. 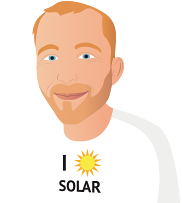 It believes that those of you living in New South Wales are losing thousands off the value of your solar power systems to the benefit of big energy companies due to current legislation.